Since no one's at the top of their game on January 2, including us, we're going to bring you this bit of irrelevant, innocuous news to ease you into the New Year. Ready? 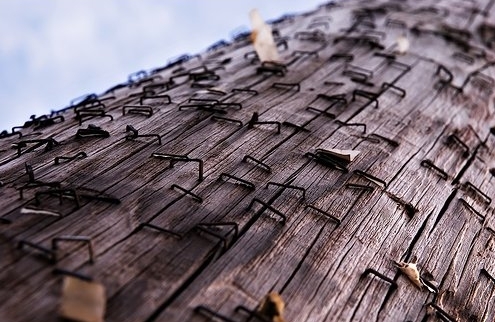 OK. Telephone poles across the nation are suffering from a new disease caused by the hundreds of staples people use to affix fliers to the poles. It's expected tree huggers everywhere will amass the streets of America with staple removers to combat this disease. Oh wait, telephone poles are dead trees. See. We told you this was a non-news item. Move along. There's nothing to see here. Wow news is a little bit slow these days huh? I am guessing no one is doing anything except partying and enjoying their brief vacation.